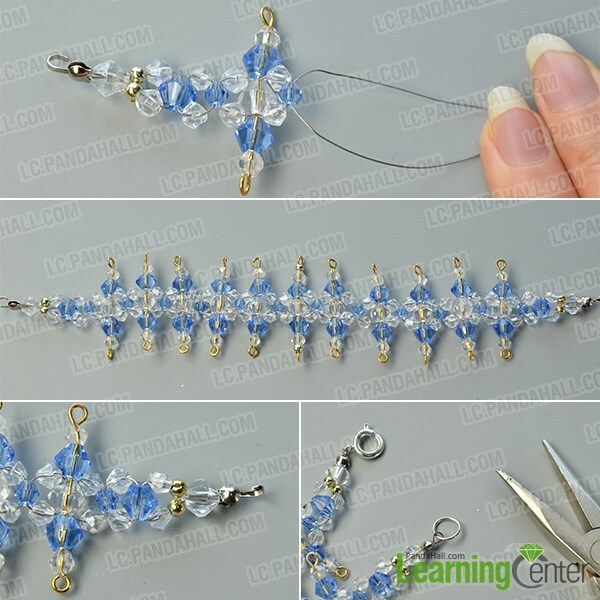 Summary: This is a beginner’s tutorial on making a wide beaded bracelet with blue and clear glass beads, you can easily finish this glass bead bracelet within half an hour at home. 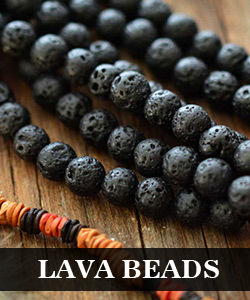 To make this glass bead bracelet, you just need to get the beads and findings ready, then you can follow our tutorial to make it at home! Now let’s check out the details together! 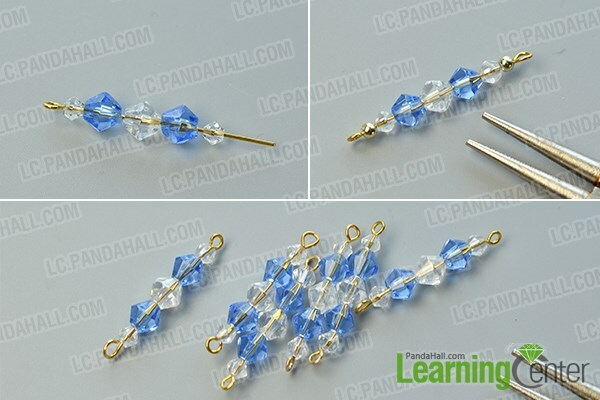 3rd, repeat the first step to make another 9 normal bead links in the same way. 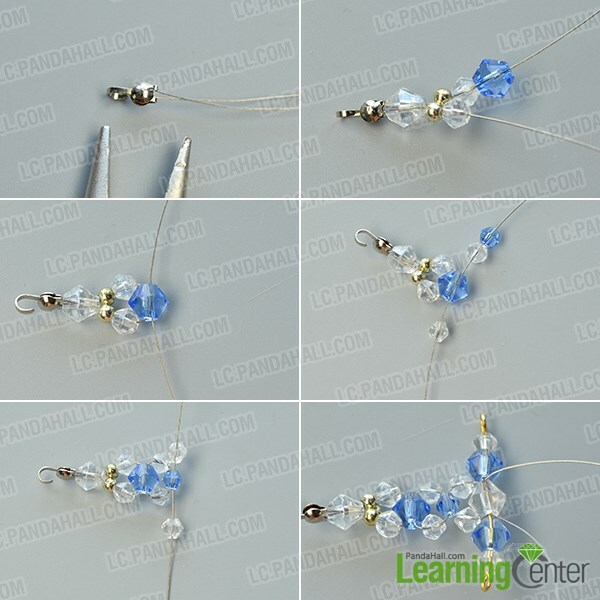 6th, add previous bead links to the main bracelet pattern by crossing both wire ends through the middle 6mm clear glass bead of a normal bead link. 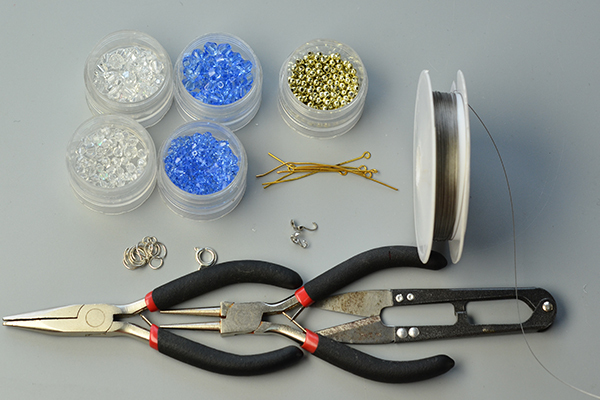 4th, attach a silver spring clasp to one of the bead tips, a silver jumpring to the other bead tip. 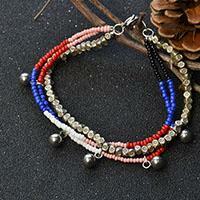 This bracelet is very chic in design and quite easy to make. 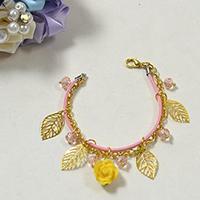 If you are searching for creative glass bead bracelet designs, you can take this one into consideration.